North Korea may be building a new and larger type of submarine capable of launching ballistic missiles, a report by a U.S. website that monitors Pyongyang’s weapons programs said Friday. The report, by the influential 38 North blog, highlights growing fears in Tokyo, Seoul and Washington that Pyongyang is moving closer to developing a platform for launching long-range ballistic missiles from submarines. A ballistic missile that North Korea fired from a submarine on Aug. 24 flew 500 km over the Sea of Japan after a failed test-firing in July. The missile fell into the sea inside Japan’s air defense identification zone. While the North has reportedly built submarines at a number of locations, the vast majority have been built at the Simpo site. Missiles launched from submarines are more difficult to track than their land-based counterparts. 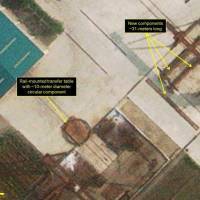 Development of this technology would give North Korea a potent second-strike capability. 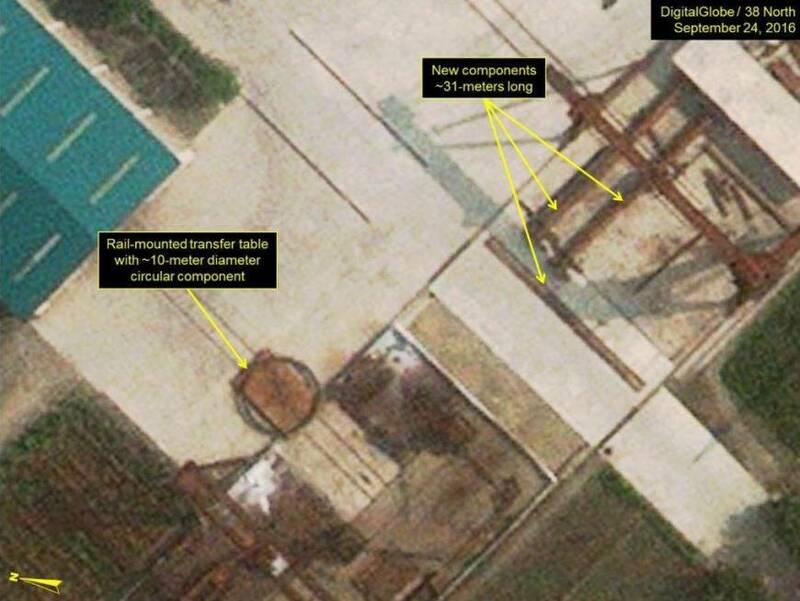 In its analysis, the website cited a large circular component that was spotted at the site in satellite imagery taken Sept. 24 and could be intended for the construction of a new submarine. Evidence, however, is inconclusive. “If this activity is indeed to build a new submarine, it would appear to be larger than North Korea’s Gorae-class experimental ballistic missile submarine,” the report said. Shortly after the launch of its Gorae-class submarine, the North began a reconstruction project of dilapidated facilities at the shipyard, including the main construction and fabrication halls, which had been abandoned since 2010, the report said. 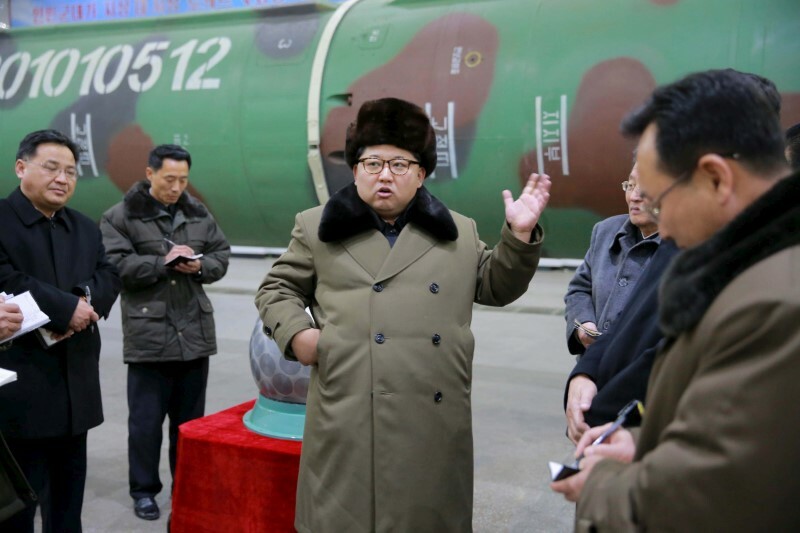 “These facilities provide North Korea with the capability to build new submarines much larger than the current Gorae-class or Romeo-class,” the report added. The shipyard is also the headquarters of the Maritime Research Institute of the Academy of National Defense Science, which is responsible for developing naval vessels and arms. Analysts say that despite recent successes in its SLBM program, the isolated nation is unlikely to deploy the weapons in an initial operational capability until the second half of 2018 at the earliest. North Korea conducted its fifth and most powerful nuclear test on Sept. 9, stoking international condemnation. 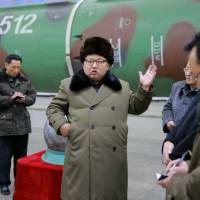 That test was the country’s second this year, following a detonation in January that Pyongyang said was a hydrogen bomb. Experts have dismissed that claim as well as the country’s repeated announcements that it has mastered the miniaturization technology needed to make a bomb small enough to fit on a warhead.